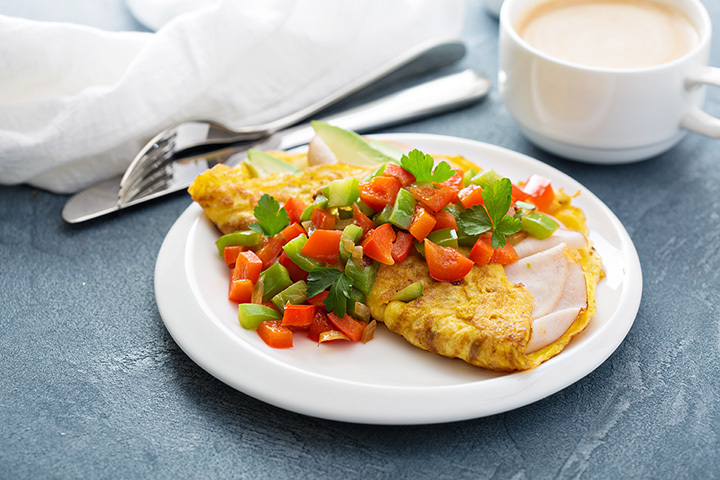 Waking up is hard, but having a delicious omelet breakfast beckoning you makes starting your day a little easier. Florida is well known for its cuisine scene, so it’s no surprise the state also has some of the best omelets you can get. From traditional omelets to create-your-own-combinations, these 10 best places for omelets in Florida will have you setting your alarm a little earlier than usual. There’s no way you’ll walk away hungry after indulging in one the gourmet omelets here. Their three-egg omelets come just about any way you like, including favorites like Greek, Denver, and “the works.” Each one is served with heaping helpings of toast or pancakes, and a side of your choosing. Dedicated to all things omelets, their build your own omelet bar ensure you get exactly what you want from an omelet. They’ve got all your favorite meat and veggie mix-ins to create a one-of-a-kind meal every time. For a different twist, try their omelet wrap with avocado, corn, black beans, salsa, and chipotle aioli on a white or wheat tortilla. Although this place specializes in all things breakfast, “omelets” in particular should be in their name. They have an extensive list of well-though omelet combinations, along with a build-your-own option. Hawaiian, barbecue, Greek, western, and fajita are just a slight few of the many flavors awaiting you. Ohhh…. Omelets! That’s what they hear many of their patrons say as they’re perusing the menu. These fluffy three-egg omelets know no bounds—smothered in gravy, drizzled in cheese, or doused in all your favorite meats or veggies. They have quite a selection of masterfully crafted omelets on their menu, but you can modify them any way you like. Sarabeth’s has a lot going for it in fresh breakfast flavors: flower juice, pumpkin waffles, and old-fashioned porridge aren’t found just anywhere. But it’s their fluffiest of the fluffy omelets that make a breakfast meal here a real winner. They’re serving up some of the best flavors in Key West, including their Key West pink shrimp and bacon omelet and the “Goldie Lox,” all fresh and made to order. The list of omelets here isn’t as extensive as other places, but their prized crab omelet gives them a nod as one of the best in the state. Shredded blue crab meat, avocado, cream cheese and bacon create a mouthwatering omelet you simply need to try for yourself. Simplicity is the name of the omelet game at the Toasted Mango Cafe. Basic favorites like three-cheese and Western omelets are cooked to perfection. Fans also love their spicy omelet and the original Sarasota omelet that combines house-roasted turkey, spinach, avocado, tomato, and Jack cheese. With a name like House of Omelets, you already know their specialty, and they sure know how to do an omelet right. Their menu features a full page of signature and classic omelets to give you whatever your taste buds are craving. Original creations include a chicken cordon bleu, chicken stir fry, and the coveted Italian-flavored Godfather. Nicki’s pushes the boundaries of traditional omelets with a heaping variety of fresh combinations. Choose from flavors like Hawaiian, Hash & Jack, Alaskan, and the fun Popeye’s Revenge that’s full of bacon, spinach, Monterey jack cheese, and mushrooms. Fans flock to this place because of generous portions, friendly service, and of course, delicious omelets. Choose from classics like Western, Greek, and Mexican, or go bold with Polish kielbasa or ribeye. You can also smother any omelet in their famous chili or sausage gravy for a slight upcharge. It goes down in the DM!!! !